I am lucky that my small neighborhood Goodwill occasionally receives donated antiques…and some make it to the shelves…and some I find! Like this morning. I was perusing the dishware aisle and as usual I passed by tons of silver-plate items, student-made pottery, generic mugs, worn china and ticky-tacky figurines, but I skidded to a halt when I saw this little dish on the shelf. Honestly I think my eyes bugged out a bit when I saw it! In a word, she was…charming. And old. Really old. 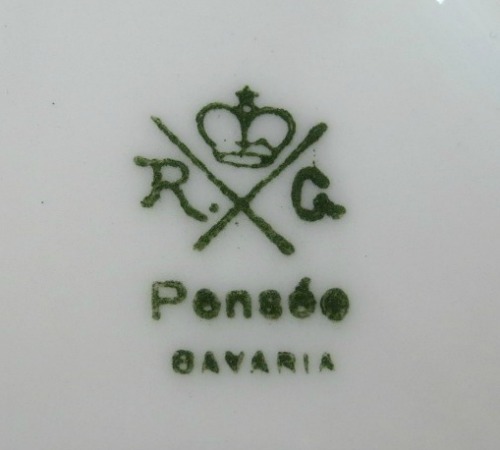 I flipped it over and was pleased to see the maker’s mark “R.C.” and Bavaria. I didn’t even bother researching it in the store because I knew I would be buying it…regardless of cost or profit. Later at home I learned that R.C. 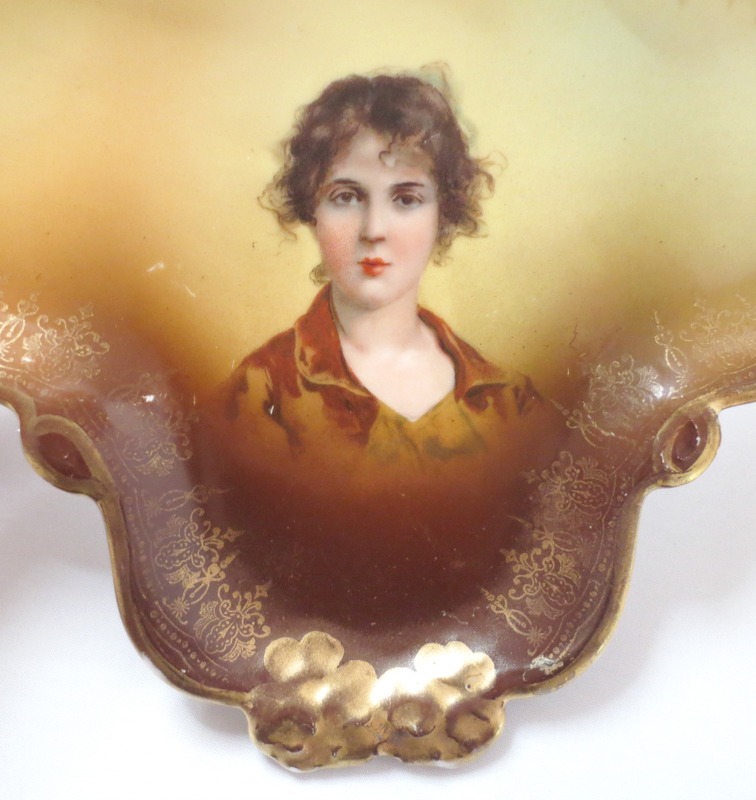 stands for Rosenthal & Co and the marker’s mark is indicative of a piece made in 1898-1906. Nice!!! 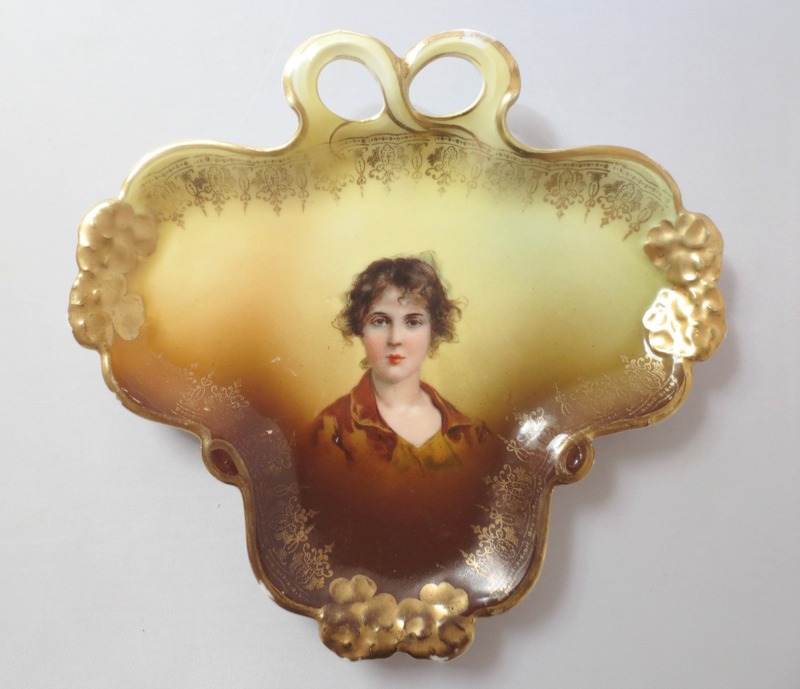 I haven’t found a similar one that has sold or is currently for sale though round Rosenthal portrait plates have sold for $27-$95. Well, if nothing else this is a scarce piece. It has a small bit of paint loss, but nothing major. (Apologies for the glare in the photos.) And honestly, she makes me smile. I mean is she sweet or what?? She is my find of the week and I won’t mind if she hangs around for a while. How about you?? Any good finds? So happy for you! Your Goodwills are better than ours! I enjoy reading everything you post. I get pleasure from your pleasure! yes- gorgeous and worth the hunt. 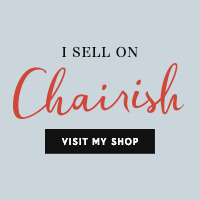 Karen- you have a good eye for these lovely pieces. keep up the good fight!